Professor , like doctor , is worked much less hard in England that in the United States. In all save a few of our larger cities every male pedagogue is a professor, and so is every band leader, dancing master, and medical consultant. Two or three generations ago the title was given to horse-trainers, barbers, bartenders, phrenologists, caterers, patent-medicine vendors, acrobats, ventriloquists, and pedagogues and champions of all sorts. Of late its excessive misuse has brought it into disrepute, and more often than not it is applied satirically. The real professors try hard to get rid of it. H. L. Mencken, The American Language: An Inquiry into the Development of English in the United States, 4th ed. (New York: Alfred A. Knopf, 1936). 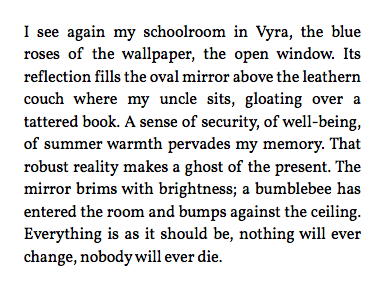 Vladimir Nabokov, Speak, Memory (1966). There are other traces of William G. Law in Google Books. Maxillofacial Orthopedics: A Clinical Approach for the Growing Child (2004) notes that Dr. Law was a founding member and first president of the European Orthodontic Society (1907–1909). In the January 1909 issue of The Dental Cosmos, Dr. Law reported that in October 1908 he had been elected secretary-treasurer of the European Orthodontia Society. If a descendant happens to be hunting, I hope he or she finds this post. To spell it out: William G. Law , dentist , orthodonist , In den Zelten 18a , Berlin . It would be easy to find evidence of this ancestor online by searching for his name. 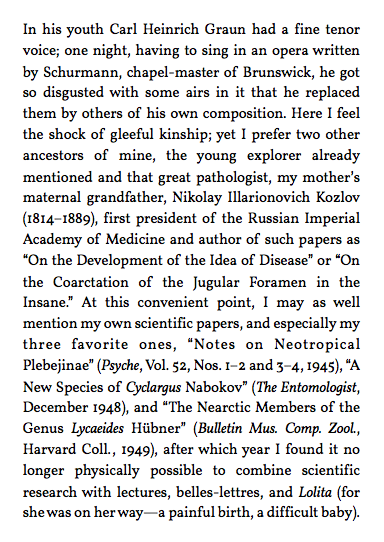 Not nearly as easy, though, to learn that Vladimir and Sergey Nabokov were his patients. Wikipedia tells us that In den Zelten (“in the tents”) became an official street name in 1832 and disappeared in 2002. In part a reference to Elsinore, the site of Hamlet (as suggested by the Kyoto Reading Circle, Krug 3:2, 29), especially in view of the reference to another person from the literary demimonde, the reviewer of Van’s first book, as “the First Clown in Elsinore ” (343.29). Nevertheless the name invites or tantalizes us with the promise of a particular identification, even if there is no specific reference intended. Perhaps a reference to American poet and translator Babette Deutsch (1895-1982), married to Avrahm Yarmolinsky, with whom she translated Pushkin and other Russians (see 64.16n. ), perhaps with a dash of the Russian-born French novelist Elsa Triolet (née Ella Kagan, 1896-1970), who in 1965 edited an Anthologie de la poésie russe ? There is, I believe, another reference suggested, given the resonance that the name Elsie would likely have for an American reader. 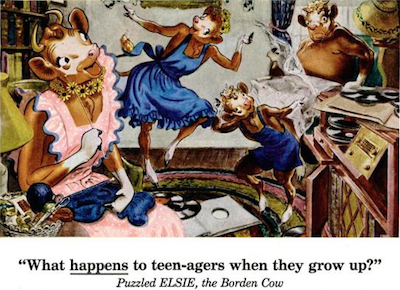 Elsie de Nord suggests Elsie the Cow, Elsie the Borden Cow, spokescow for Borden dairy products. Elsie de Nord’s last name nearly anagrams Borden . This hapless critic is, as it were, a cow, or at least cow-like. Two chapters later in Ada, orchestra becomes horsecart. 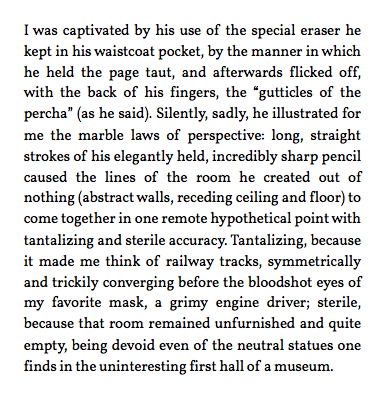 One chapter more and Borges becomes Osberg. Caution: VN at Work. 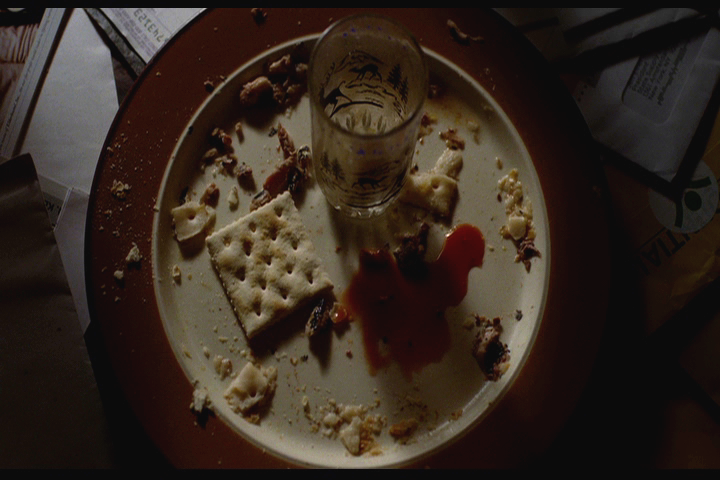 Sardines play a part in the 2014 film St. Vincent (dir. Theodore Melfi). 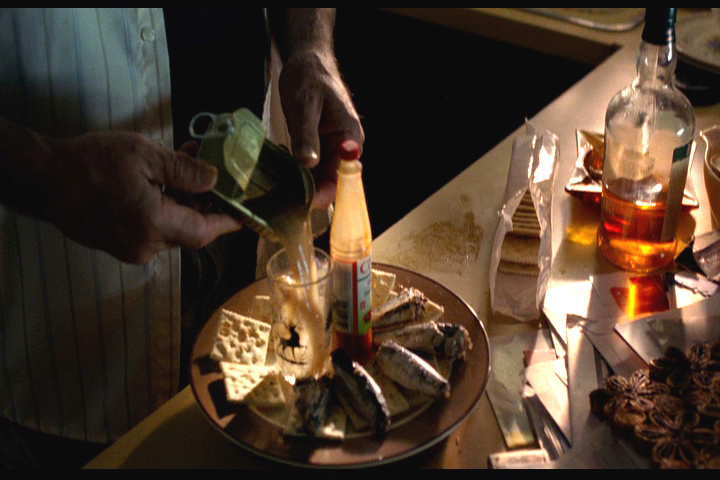 Taking on some impromptu work in afterschool childcare, grouchy old Vincent (Bill Murray) prepares a meal of canned fish and crackers for the kid next door, Oliver (Jaeden Lieberher). 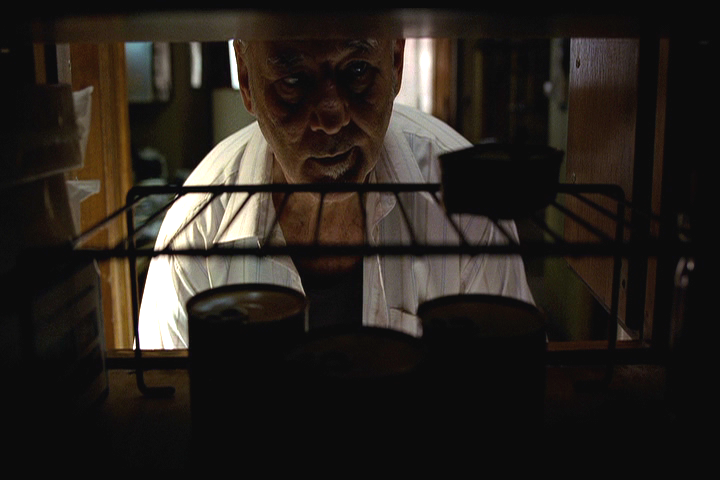 “You’re gettin’ sushi,” Vincent says. But Oliver knows better. Click any image for a larger view. The food is all for Oliver. Vincent sticks to whiskey. 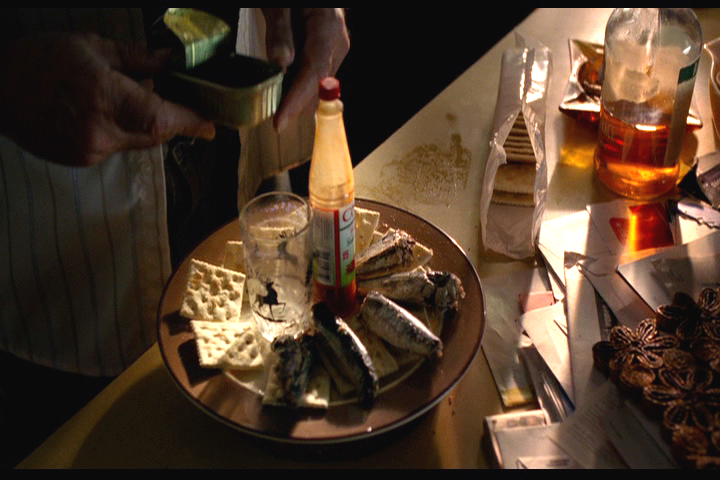 As we later learn, he buys sardines for himself and “gourmet cat food” for his, uh, cat. And that’s just one example of his saintliness. With Bill Murray, Melissa McCarthy, and Naomi Watts on board, St. Vincent could have been a much more engaging film. As it is, the story is painfully predictable. (For crying out loud: the title gives it away.) The moment when I knew the film was beyond redemption: a wheelchair race through hospital hallways. Unforgivable. The moon came out from behind the clouds last night, and we were there, or here, on earth, to see it. How great that every so often — for no reason at all — the moon should turn from green cheese into a tasty port wine variety. How do you know that your father is about to have yet another committee meeting? That “tawny-brown shag”: I think back to roll-my-own days, and yes, shag is just right. In conversation, things go best if you pay close attention and learn how to put yourself in someone else’s shoes. This is easier to do without your phone in hand. 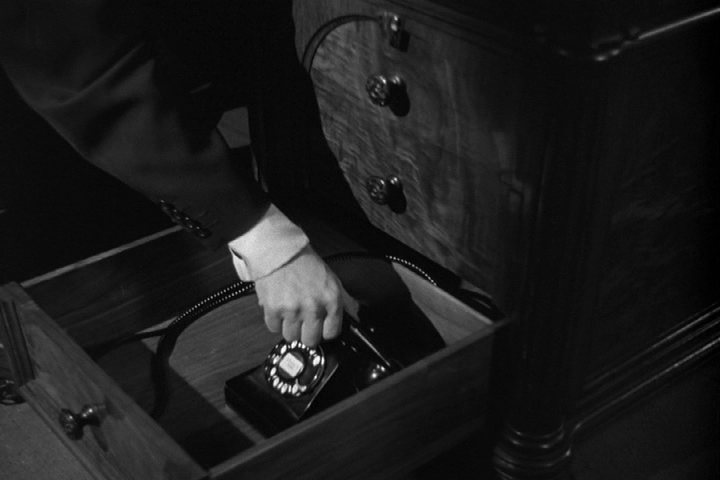 In the Henry-world, all telephones are landlines. 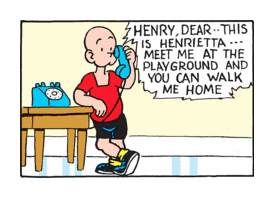 Henrietta must be calling on a conveniently located pay phone. You can’t see it from this panel, but rain is threatening. So hurry up, kids, and get off the line before it storms. From The Allusionist episode Architecting about Dance: the choreographer and movement director Steven Hoggett is talking with Helen Zaltzman about what studying literature has meant to his work. Hoggett: It’s absolutely the bedrock for my choreographic career. I thank my lucky stars I spent many years poring over books rather than being in a studio, because I would have been a terrible pure dancer. Zaltzamn: That’s really extraordinary. 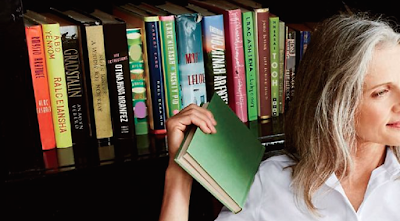 How do you think the poring over books created the modern you? Hoggett: Because your imagination — I was encouraged to use my imagination way into my twenties, when I was still studying. Somebody was saying, “Don’t just read the book, think about it.” That’s what’s also helped me in every instance of being able to try to communicate and use language and words and reinvent my kind of language every time you do a new piece, because that company is different, that task is different, the show is different. And it does require a choreographer to be responsive to a room, and to find expressions and terms and words, literal phrases, that make sense for each project. I’ve been following The Allusionist since June and recommend it with enthusiasm. Generally speaking, “none is” is the more emphatic way of expressing an idea. But it’s also the less common way, particularly in educated speech, and it therefore sounds somewhat stilted. The problem is exacerbated by the unfortunate fact that some stylists and publications insist that “none” is always singular, even in the most awkward constructions. Fowler’s Modern English Usage (1926) recognized that none can be singular or plural: “It is a mistake to suppose that the pronoun is sing. only & must at all costs be followed by sing verbs, &c.” Garner’s comment is likely a tactful criticism of The Elements of Style. The 1959 edition says that none “takes the singular verb,” period. The 1972 edition acknowledges that none can be singular or plural. E. B. White added and then amended the note on usage for none. 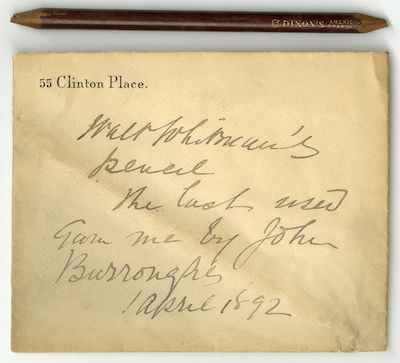 William Strunk Jr.’s 1918 Elements says nothing about the word. You can subscribe to the Usage Tip of the Day at Oxford University Press. If only. Instead we have days that begin in a fall-like manner, with temperatures going into the middle eighties by early afternoon. Faill is the new fall. Lands’ End: The White Album The company is apparently angling for (so-called) millennials. Part of the reason why is because I never fell out of the habit of wearing a traditional watch on a daily basis. I own a simple, inexpensive, military-style analog watch with a canvas strap that almost wholly satisfies my expectations for a device worn on the wrist. It tells the time and date and needs almost no maintenance. But he offers another, more surprising reason: Why I Don’t Own an Apple Watch (Subtraction). I, too, don’t own an Apple Watch. I have no interest in being tethered to another device (which itself would be tethered to a device). 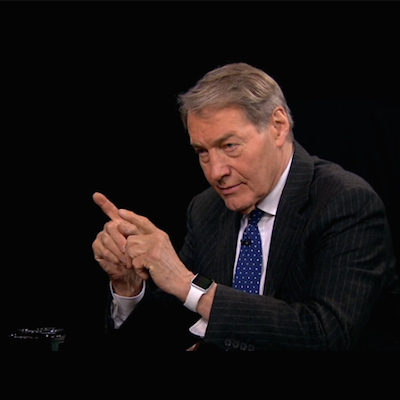 And if I ever even for a moment think about owning an Apple Watch, all I will need to do is look at this image. Nice: There are three captions that work with every New Yorker cartoon (A. V. Club). I make a lot of mistakes, thus requiring an eraser at least as large as an ice cube. The eraser available from the catalogue is the Magic Rub, which is of grayish-white vinyl in the shape of a domino. I use it to erase the screeds I sometimes feel compelled to write in the margins of proofs and then regret. She goes on to mention the twelve-packs in the New Yorker supply cabinet. I had never used a Magic Rub. Not because of its slightly louche name: the eraser and I had just never crossed paths. But I thought, If it’s good enough for . . . , and bought a three-pack. It’s a disappointing eraser, with an unpleasant color, a ghastly smell, and pockmarked sides that suggest unfinished concrete. And it doesn’t erase all that well. I’m a pretty undiscriminating eraser-user, though I will admit to a liking for Papermate’s ultramodern Black Pearl and Staedtler’s Extruded Eraser Stick. The Stick’s stubby shape and paper wrapper make me think of Choward’s Violet Flavored Mints. To my eye, the Magic Rub does not erase as well as the Pearl or the Stick. I haven’t tried it against the Mints. It’s Latex free, absorbs graphite and erases India Ink. Also comes in a nifty peel-off pencil form to erase dry media in one fell swoop. Prismacolor’s Magic Rub is a vinyl eraser for use on polyester-based drafting film, acetate, or tracing paper. It erases delicate drawings cleanly, without smudging. 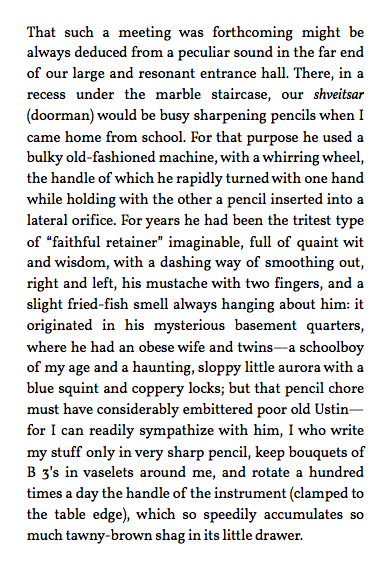 These descriptions would seem to suggest that the Magic Rub is not well suited for erasing pencil on plain old paper. Maybe that’s why I find this eraser so unsatisfactory. Yogi Berra died yesterday at the age of ninety. The Times has an obituary. The index entry for Vladimir Dmitrievich Nabokov in Speak, Memory is telling: “9–16, 19–310, passim .” In other words, every page with printed text. Nabokov’s father’s presence is everywhere. 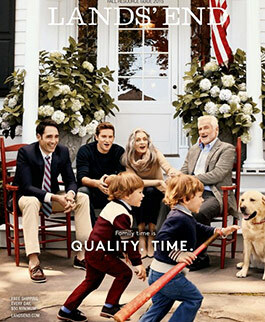 The Lands’ End catalogue may never have been a great document of the variousness of Americans, but its recent incarnations appear to have taken a sharp turn for the white. Above, the cover of the Fall Resource Guide 2015, a hefty catalogue with a fold-out cover, an insert printed on thicker paper, two blow-in cards, and 171 pages. And a whole bunch of white people. I went through this catalogue page by page — three times, for accuracy — checking off every human form. I counted 155. Many, of course, are the same people, appearing again and again. One woman, standing atop a rock, arms outstretched, faces away from the camera, gloved and hatted beyond identification. Of the other 154 men, women, children in this catalogue, thirteen are plainly or possibly not white. That leaves 141 white men, women, and children, making for a catalogue that’s 91.5% white. It’s a measure of the way our sense of American culture has changed that this catalogue (which fifty years ago might have seemed, at least to a white reader, “normal”) should now look so strangely, aggressively retrograde. Lands’ End, please rethink it. 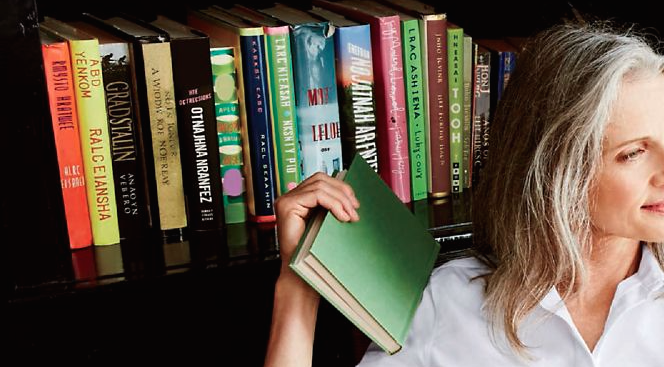 One thing about these white people: they sure read some interesting books. September 24: Here’s an article that helps to account for the change in direction at Lands’ End: How Lands’ End Is Angling for Millennials, and Injecting Luxury into the Midwest (Refinery29). Angling for so-called millennials with a nearly all-white catalogue seems like an especially strange choice. “Although he swore off fan events after a 1988 incident in Cincinnati in which Sharpie-wielding autograph seekers permanently stained a white linen suit he had had made in Italy, he came to terms with and embraced the Jimmy Olsen legacy in other ways”: “Jack Larson, Playwright Better Known as Jimmy Olsen on Superman TV Show, Dies at 87” (The New York Times). In Fresno, California, three men posing as police officers misspelled the word sheriff on their costumes. The error, though, does not appear to be what led to their arrest. The scheme — posing as law enforcement and raiding the residences of marijuana growers — makes me wonder if these fellows took their cue from The Wire’s trickster-god Omar Little. Just a thought. In July, 1932 (News of the World , July 24), the Assistant Bishop of Guildford, Dr. Cyril Golding-Bird, appeared before the Farnham (Surrey) magistrates on a charge of dangerous driving. 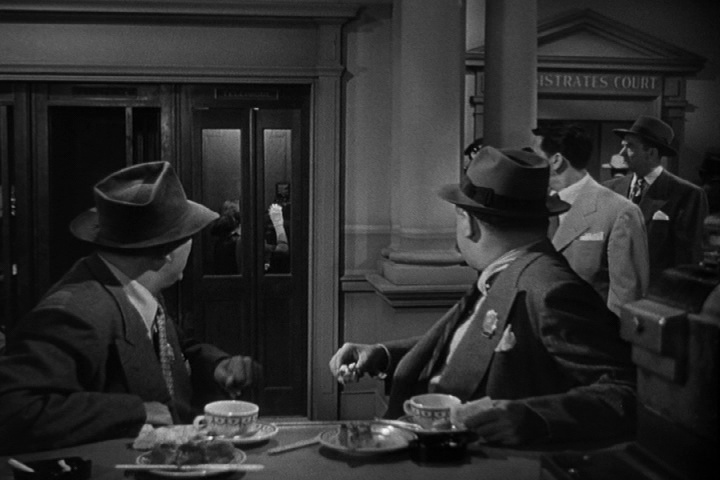 The policeman who arrested him testified that, on being overhauled, he demanded “Are you a speed-cop ?” His Lordship, evidently in fear that the use of an Americanism would prejudice the bench against him, stoutly declared that he ”was not sufficiently colloquial” to have used it. But the magistrates, taking a serious view of the matter, fined him £10 and costs and suspended his driving license for three months. When everything from poems to pot to munchies is crafted, it’s time to say vogue word and move on. 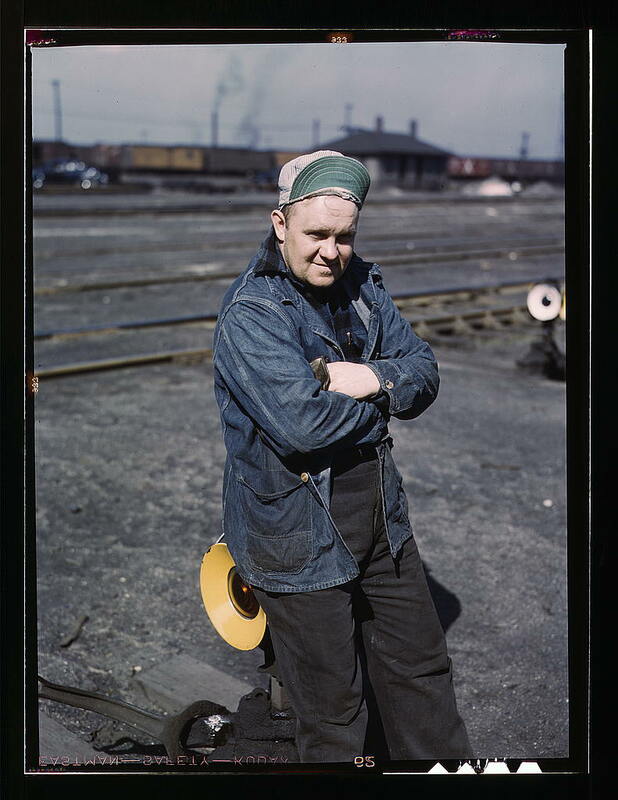 The verb to craft here accomplishes nothing that to create or to develop or to draft or to work on would accomplish. The work of writing an ordinance implies a degree of care and skill. The Newsday Saturday Stumper is a wonderful crossword, harder on average, I think, than the Saturday New York Times puzzle. Here from today’s Stumper is a beautifully tricky clue. 61-Across, eight letters: “Cue for the tenor, perhaps.” No spoilers: the answer is in the comments. It is August in Biarritz. Vladimir is ten. Colette is nine. 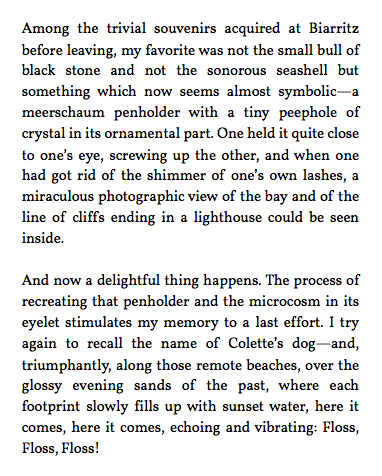 Very Proustian, this interlude at the beach. Force of Evil (dir. 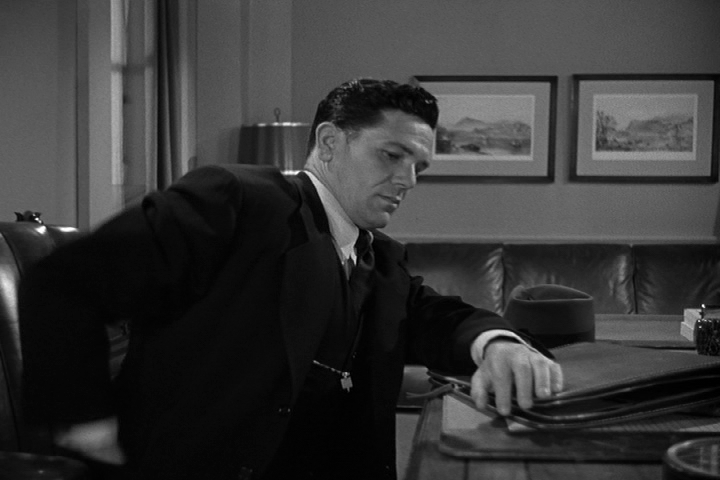 Abraham Polonsky, 1948) stars John Garfield as an attorney involved in a scheme to take over the numbers (policy) rackets in New York City. 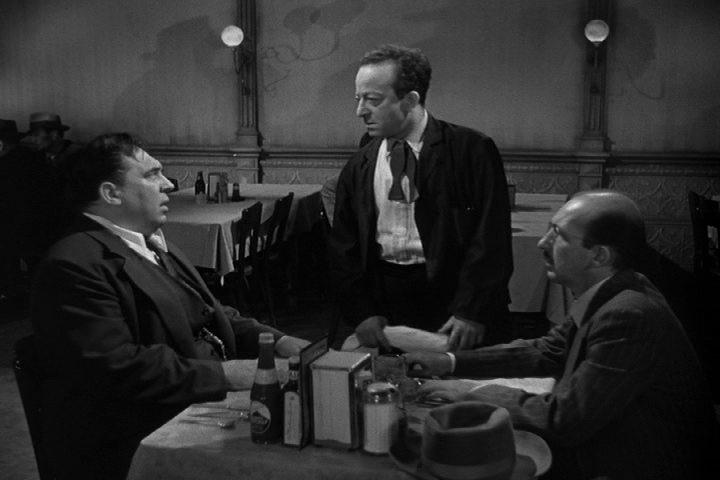 Martin Scorsese, who introduces the film on DVD, thinks of it as a neglected noir masterpiece. I’m not sure I agree: the scheme and the romantic subplot are not exactly convincing. 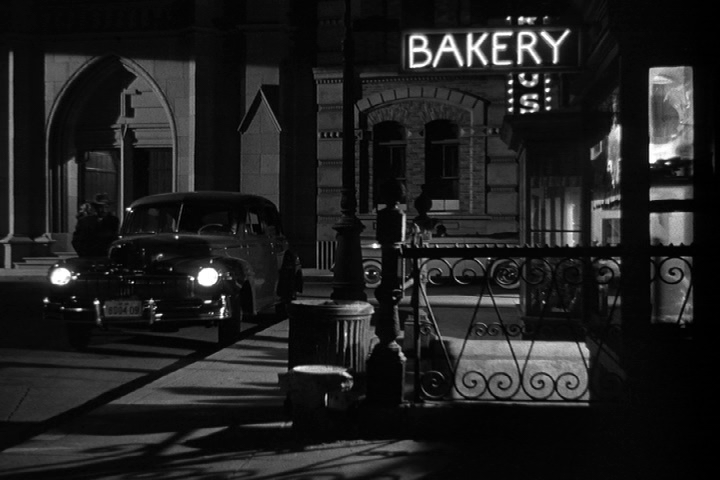 But George Barnes’s cinematography is aces. And the film has something for everyone, or at least for me. Click any image for a larger view. I went online to make a co-pay for my yearly physical and found a form that asked for "guarantor's name." Were they asking about my HMO? No. After seeing, a few lines later, a request for the guarantor's birthdate, I could guess that the guarantor was me. Perhaps guarantor is a fit word for one who makes a co-pay. Yes, I have to pay, and I’m good for it. But this form’s language is unnecessarily obscure. What’s wrong with patient ? A substance resembling rubber but containing more resin, from the latex of several Malaysian trees of the genera Payena and Palaquium . It is nearly white to brown, hard and rather elastic, softens on heating, and can be vulcanized. It is used esp. as an electric insulator and in temporary fillings in teeth. —Goloshes, Julia! exclaimed her sister. Goodness me, don’t you know what goloshes are? You wear them over your . . . over your boots, Gretta, isn’t it? —Yes, said Mrs Conroy. Guttapercha things. We both have a pair now. Gabriel says everyone wears them on the continent. —O, on the continent, murmured Aunt Julia, nodding her head slowly. Now when I think of gutta-percha, I’ll think of Speak, Memory, too. N.B. : Harbach does not dispute what those students believed. Creative Writing Programs, while claiming in all good faith to train professional writers, in reality train more teachers of Creative Writing . Who must of course have students. I was teaching a college English class in my Brooklyn elementary school, in a corner classroom with a high ceiling, hanging light fixtures, and large windows and shades on two walls. We were reading a Hemingway novel; I don’t know which one. As I collected some in-class writing, we got onto the subject of regimentation and rules in high school. A great spontaneous discussion ensued, during which I realized that I had forgotten to bring my Hemingway. I kept that realization to myself. I mentioned two points about the novel as the time ran out and the room emptied. One point: a description of a tattooed character in Hemingway owed something to Djuna Barnes’s novel Nightwood . The other point I cannot remember. All this time I was being, as they say in education, “observed”: a colleague was sitting in the back of the room watching me at work. When the class ended, his only suggestion was that I make greater use of the blackboard, a suggestion that seemed to me wildly irrelevant to what had just gone on (as of course it was). I explained that I had gotten away from using the blackboard in my teaching. I can think of a number of elements that play a part in this dream: a recent New York Times feature on the first day of school in New York City, a letter to a friend that mentioned the debilitating effects of high school on new college students (who ask where they should write their name on in-class work), a fambly member’s student-teaching, and my liking for Nightwood , a novel I taught several times in lieu of The Sun Also Rises . My reasoning: students could read and make something of The Sun Also Rises on their own at any time. But they probably wouldn’t get another opportunity to read Nightwood , which offers another picture, and to my mind a much more compelling picture, of a lost generation. 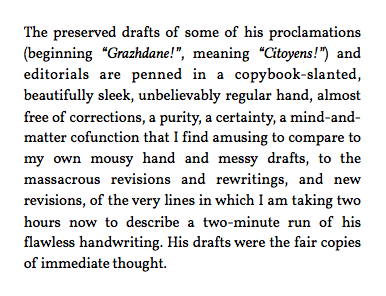 Theodore Bernstein, The Careful Writer (1965). This post is for Fresca, who likes clarity. Rachel was (and is) wise beyond her years. What’s it like to be eleven? Well, there’s “growing maturity and confidence built on the experiences of earlier years,” along with “increasingly advanced cognitive skills and emotional maturity.” Yet one “may still be unsettled by major change.” (True, that.) Do “major bodily and hormonal changes” count as “major change”? I should think so. 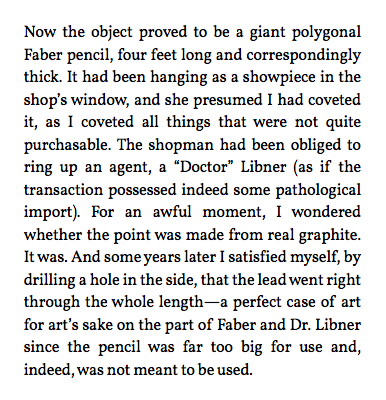 As for being “acutely self-conscious in public,” Orange Crate Art has always been acutely self-conscious in public. No wonder: it’s never not been in public. 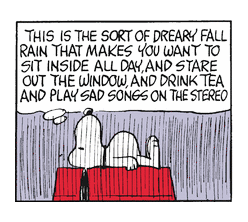 And when it takes along an umbrella and there’s no rain, it feels like a jerk. Thanks (again) to my fambly: to Rachel, for suggesting Orange Crate Art as a name; to Rachel and Ben, for showing me the basics of HTML; and to Elaine, whose sense of what’s appropriate is always appropriate. And thanks (again) to Van Dyke Parks, who was generous and enthusiastic about my use of his song’s title as this blog’s title. And thank you, reader, old or new. A good sense of a school cannot really be had from its website, which might present a Potemkin village of excellence and good cheer. Nor can magazine rankings or a tool such as College Scorecard help all that much. My idiosyncratic suggestion: read the student newspaper, which will almost certainly be available online. Are the articles, columns, and editorials the work of students who are capable writers? Does their work suggest a good grasp of current events, culture, and history? Do articles focus on campus problems not mentioned in official sources? Often assembled with little or no oversight from full-fledged grown-ups (faculty advisors), a student newspaper may offer an unfiltered (or just lightly filtered) picture of a school and its community. Prospective students and their families would do well to spend time reading. Sean at Contrapuntalism visits Tokyo stationery stores, one, and another one. Winning! Thanks to George Bodmer for this story. Elaine writes about wild garlic. Watching the news last night: Brookline! Specifically, a story about Irving’s Toy & Card Shop. Ethel Weiss’s store (founded with her husband) has been in business on Harvard Street since 1939. Our fambly was in there some years ago. Now I want to go again. Watch: Candy shop owner going strong at 101 (CBS Evening News). Irving’s has a YouTube presence: a report made for a college class by Steve Burns, and a mini-documentary by Brookline Interactive Group. This Atlantic item makes me miss the World Book Encyclopedia of my childhood. The World Book was great for school reports, and perfect for the reading room, so-called. Vinyl for the young: from Light in the Attic and (Jack White’s) Third Man Records, an LP titled This Record Belongs To and a Children’s Turntable (33, 45, 78!). The LP includes, among others, Woody Guthrie, Ella Jenkins, Harry Nilsson, Van Dyke Parks, Nina Simone, and Miss Abrams & The Strawberry Point 4th Grade Class. 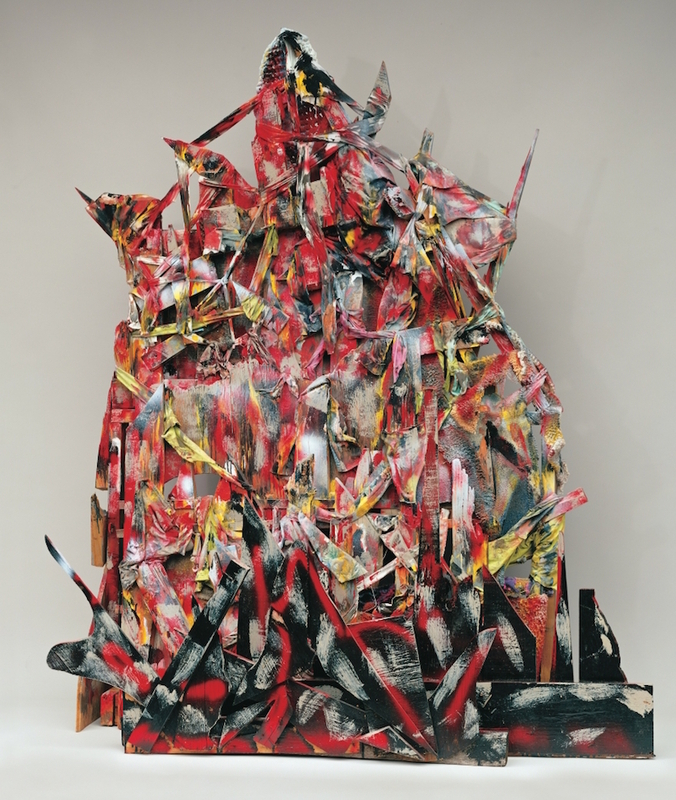 Thornton Dial’s art also appears in September 11 posts from 2011 and 2013. This post is for my friend Sara, who was just dreaming of an oval mirror. Say, bud, jest haow do you calculate to buy an automobile? Do you act pensive after you’ve bought, or do you let a few facts form fours on your grey matter before you per-mit the local car agent to take a hack at your bank balance? F’rinstance, what horse-power class do you aim to get into? Will your pocket bear a 20 h.p., and, if not, will a 10 h.p. bear your family? That’s the first problem, and the best way to answer it is to think what old friend Solomon would have done and cut th’ trouble in half by making your car an 11.9 — safe both ways up. 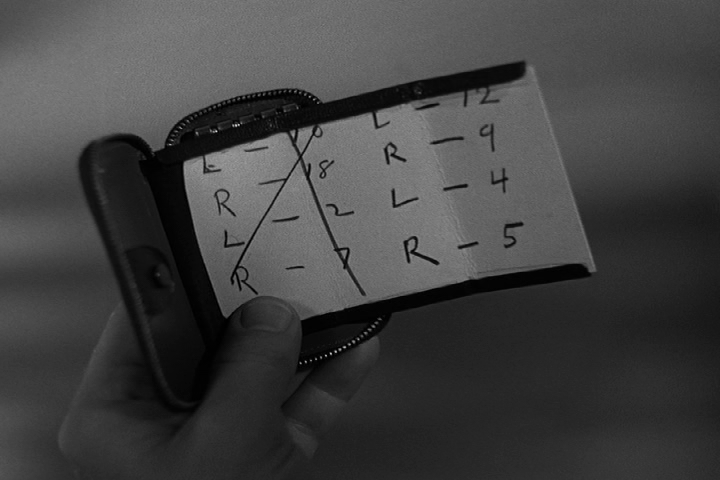 Wal, after you’ve laid out your cash an’ folded its arms on its little chest, there are just two people who are liable to hold you up for ransom; the tax-collector and and th’ polisman. 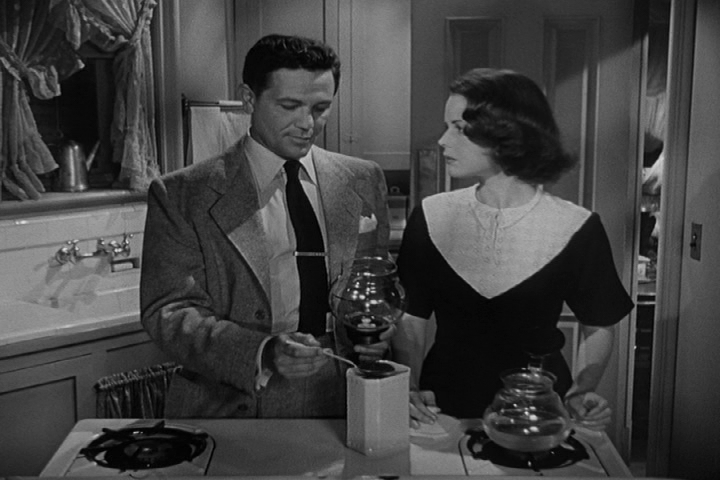 Per-sonally, I give a polisman just nuthin’ and a tax-collector as little as George and Mary will let me. If I’m in the 11.9 h.p. class I can send the kids to school with th’ tax balance? Get me? H. L. Mencken, The American Language: An Inquiry into the Development of English in the United States , 4th ed. (New York: Alfred A. Knopf, 1936). Today is the first day of school in New York City. The New York Times has a look at the first day in photographs through the decades. I like seeing the classroom windows (1957), the marbled composition-notebook (1961), and the briefcases (1961, 1975). Not book bags: briefcases. In the 1960s nearly every kid in my school, P. S. 131, Brooklyn, carried a briefcase. Was it a New York thing? Moving to New Jersey meant ditching my briefcase — one of many varieties of culture shock. Here in east-central Illinois school begins in mid-August, with oppressively warm classrooms and early dismissal as the norm. A post-Labor Day start seems to me sane and humane. His name is Bruce Harreld. Less than three percent of faculty who responded to a survey think he’s qualified. He will be earning $590,000 a year. You can read more at the Chronicle of Higher Education , the New York Times , and Slate . Harreld’s job talk and answers to faculty and student questions may be found at YouTube. Many Iowa faculty may likely be found working on their exit strategies. November 6, 2015: The President and The Yes Men. Thanks to Unknown. My old (since 1917) quarrel with the Soviet dictatorship is wholly unrelated to any question of property. My contempt for the emigre who “hates the Reds” because they “stole” his money and land is complete. The nostalgia I have been cherishing all these years is a hypertrophied sense of lost childhood, not sorrow for lost banknotes. Karr’s dismissal of estates and ancestors seems to me a form of snobbery in reverse: it’s okay to write your life if you come from a rough or messy background. But fancy-pants aristocrats, Keep Out. It’s sad to see such snark passing for lit crit. It is amazing to see a series that can range from tragedy to comedy, even slapstick, while always making room for fisticuffs, poetry, and progressive jazz. We’re both in our fifties — too young to have paid attention to Route 66 the first time around, old enough now to realize how great the series was. 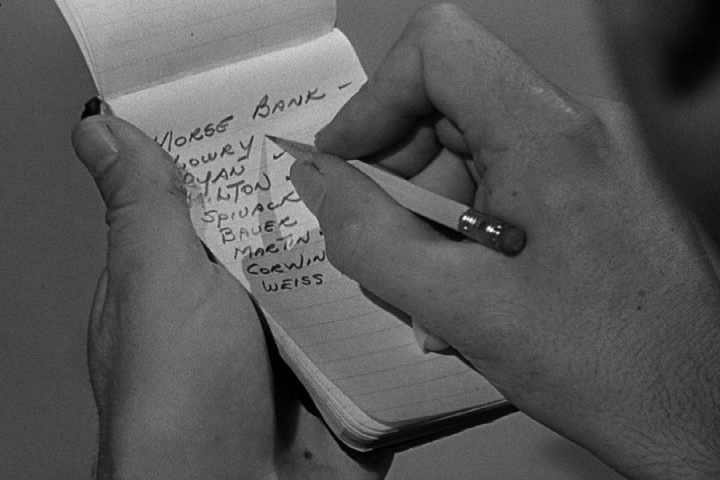 We received a letter from George Maharis, but we never heard from Martin Milner. I hope that he saw our letter. The red-haired, freckle-faced Milner had more than a dozen years of work in films and television behind him in 1960 when he began plying the highways and byways of America on Route 66 , portraying Yale dropout Tod Stiles opposite George Maharis’ streetwise New Yorker Buz Murdock. Martin Milner is probably better known these days for his role as Officer Pete Malloy on Adam-12, but Route 66 is the better measure of his gifts. Our household is a Route 66 -friendly zone. James Ward’s supplies Now with a reason why Mr. Ward should send his office supplies to me. From GoComics, Guy Gilchrist and John Lotshaw’s Random Acts of Nancy reprints single Ernie Bushmiller panels in colorized form. 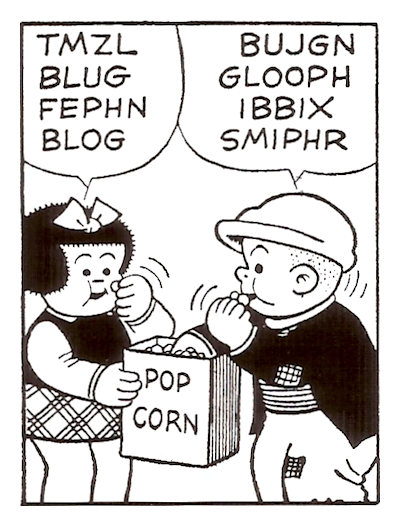 Scott McCloud’s Five Card Nancy is the inspiration. 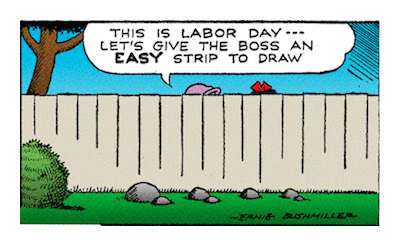 Also from GoComics, Gilchrist’s Nancy and Bushmiller’s original Nancy strips (the latter running every day but Sunday). How it works: Go to notepad.cc and you’ll see a white rectangle, suitable for typing. Your page will have its own URL — http://notepad.cc, followed by randomish letters and numbers. You can change the URL to something more recognizable and add a password if you like. The advantage of notepad.cc over the also-nifty browser-notepad trick: with notepad.cc, you can compose or access text on any device via your URL. That appeals to the ten-year-old secret agent in me, hugely so. Notepad.cc is way cool, and free. I found my way to notepad.cc via a Daring Fireball link to a page of Safari extensions. I’m surprised that I’d never heard of this service before. 7:05 p.m.: Notepad.cc’s bottom-of-the-screen options to change a URL, add or remove a password, and share a link appear to be unavailable in iOS 8. November 16, 2016: Notepad is defunct. A reader recommends Notebin.cc. “James Ward keeps his collection of office supplies at his mother’s house outside London because his flat in Brixton, which he shares with a roommate, is too small. He says his mother, a former librarian, has ‘come to terms’ with the arrangement”: “A Collector Sees the Potential in a Humble Paper Clip” (The New York Times). September 7: I just hit page 114 in Marie Kondo’s The Life-Changing Magic of Tidying Up : “Your parents’ home is not a haven for mementos.” And one page later: “Even if the house is large with rooms to spare, it is not some infinitely expanding fourth dimension.” Mr. Ward, heed Ms. Kondo’s words. Send your supplies to me. This advertisement makes me think of a novel I read this summer. Moby -something. The thought of eating fish while fishing seems a little odd to me. 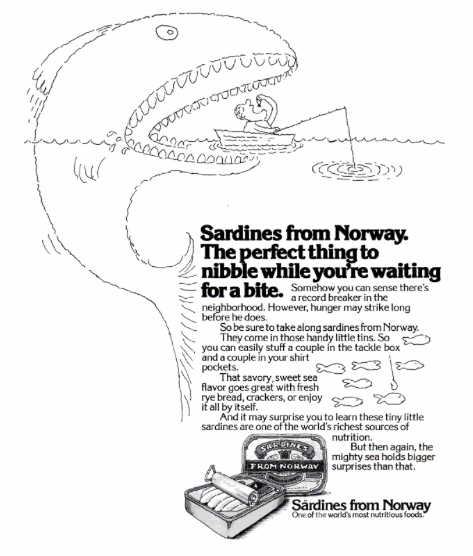 But the thought of carrying sardines around in shirt pockets is a thought I am willing to entertain. An essay by Kareem Abdul-Jabbar: “This is the difference between Donald Trump and Bernie Sanders” (The Washington Post). And Trump’s reply. Ella Frances Sanders, Lost in Translation: An Illustrated Compendium of Untranslatable Words from Around the World (Berkeley: Ten Speed Press, 2014). Click for larger woods. I wanted to post something from this book (thank you, Elaine), and this word seems to go well with today’s post about man-going-off-to-wooded-island. 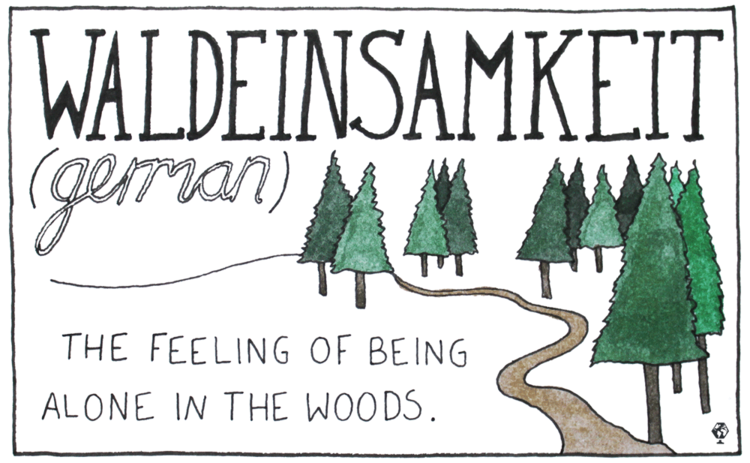 You can find ten more Sanders-illustrated words here. Lost in Translation is a charming and imagination-provoking book, though its scholarship is sometimes amiss: at least one of its words has been called non-existent. Waldeinsamkeit is, of course, real. Ralph Waldo Emerson even wrote a poem about it. But if I hadn’t looked up the word elsewhere, I wouldn’t have known to capitalize it. (Sanders draws all words in all caps.) 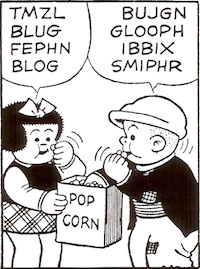 Lower-case lettering would be helpful, as would a pronunciation guide. 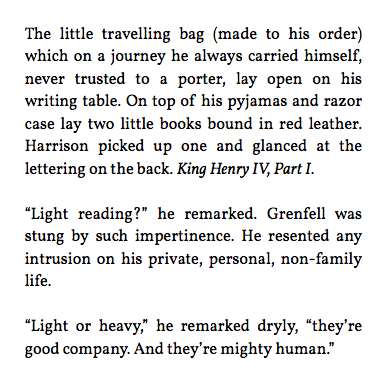 Henry Grenfell, a business man, is preparing for a solitary retreat to an island off the coast of Nova Scotia, “a bit of wooded rock in the sea.” His son Harrison, “a distinguished physicist at thirty,” enters as Grenfell is packing. Willa Cather, “Before Breakfast,” in The Old Beauty and Others (1948). One realizes that human relationships are the tragic necessity of human life; that they can never be wholly satisfactory, that every ego is half the time greedily seeking them, and half the time pulling away from them. 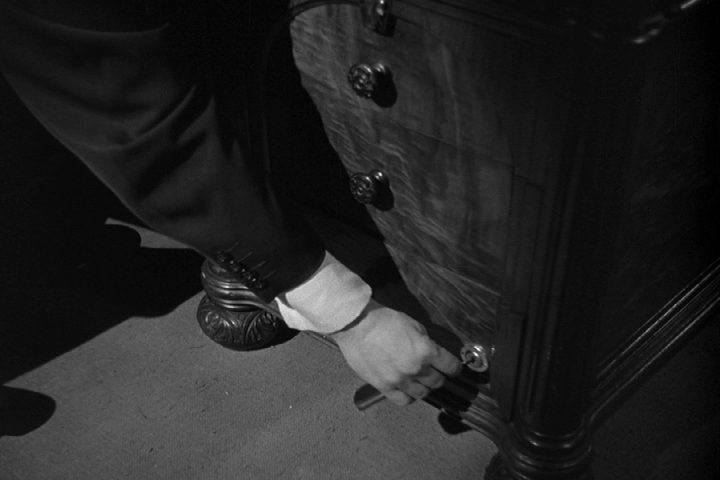 Right now Grenfell is pulling away, moving toward his “private, personal, non-family life.” Like Godfrey St. Peter in The Professor’s House (1925), Henry Grenfell is outward bound. The latest installment of xkcd takes the reader to “a search for weird correlations.” It’s fun. This file-folder label recently appeared in the breezeway between our house and garage. The label is almost certainly ours. It probably found its freedom during a recent garage-decluttering spree. (Chiefly Brit .) any of various kinds of squash or gourd which are chiefly the fruits of varieties of Cucurbita pepo , eaten as a vegetable; esp . one of the larger round or cylindrical kinds with green, white, or striped skins and greenish-white or (occas.) yellowish pulpy flesh; (also) the plant producing these, a trailing or sometimes bushlike annual with deep yellow flowers. What did the label label? I have no idea, but I am hoping that one of the younger members of the fambly might remember what this zucchini is all about. 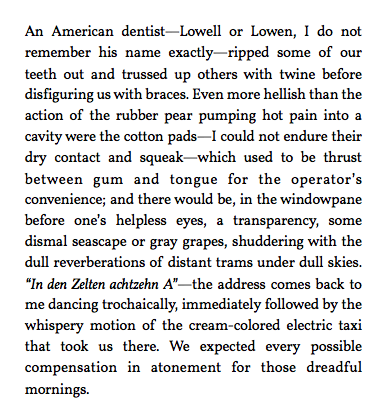 Note the backward z .
Willa Cather, “The Best Years,” in The Old Beauty and Others (1948). Wikipedia lists various Metropolis elements in pop music. 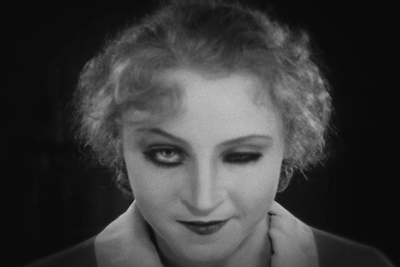 I begin to wonder, at least semi-seriously, if Miley Cyrus’s wink isn’t one more bit of Metropolis. The 2010 restoration of Metropolis , which I’ve finally gotten around to watching, is dazzling. Unlike, say, Miley Cyrus. It’s the dreaded wrong-way window-writing glitch. Sometimes Hi-Lo Amalgamated gets it right. Sometimes. But again and again things go wrong. And again. 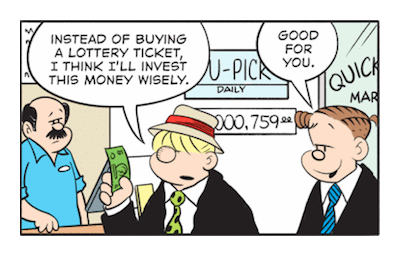 In Beetle Bailey, too. Am I looking at a meme, or at evidence of carelessness? I think it’s carelessness — as in “I could care less,” which is a careless way of putting it.